Masterful design and modern luxury are embodied in this practically new home. Featuring a stunning great room with soaring ceilings, gourmet kitchen with high-end appliances, dual master suites, and a bright loft that can double as an office. This richly appointed home is the definition of turnkey. Boasting 4 bedrooms, 3.5 bathrooms, and over 3,000 sq ft, enjoy the best of everything in this fully upgraded stunner. Seller spared no expense with over $60,000 in premium upgrades – solar power, recessed LED lighting throughout, whole house fan, tankless water heater, hydronex water conditioner, undercounter wine fridge, dining room rolling shade, walnut wood floors, faux wood blinds, stamped concrete, textured/painted garage, vehicle charging circuits, to name a few. Eye catching views of Harvest Park from the master suite balcony, and just steps from the private pool and clubhouse makes this home an easy choice. 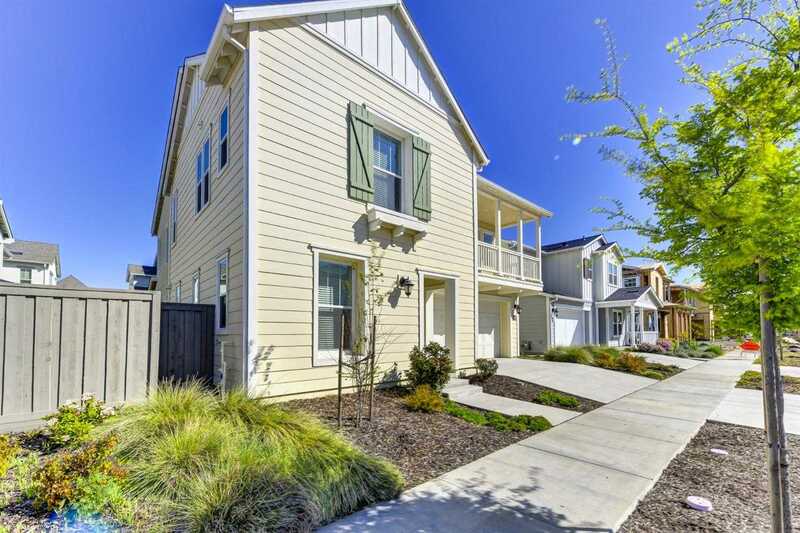 Please, send me more information on this property: MLS# 19020745 – $990,000 – 1009 Dolcini Lane, Davis, CA 95616. I would like to schedule a private showing for this property: MLS# 19020745 – $990,000 – 1009 Dolcini Lane, Davis, CA 95616.